television in Hawaii, as well as music videos for TuneVid. MUSIC HORROR STORIES, owner Goodnight Kiss Music (BMI) and Scene Stealer Music (ASCAP). She teaches songwriting and is a popular reviewer for professional groups and conventions. 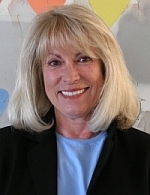 Janet Fisher originates from Kansas City, Missouri. She grew up writing songs and performing in clubs across the Mid and Southwest where she opened for many acts such as Emmy Lou Harris (Antelope County, CA), Bob Gibson (Chicago, IL), Brewer & Shipley (KCMO). Relocating to California, her association with TASCO Sound, Intl., gave her inside experience with the workings of tours and crews for bands like Ozzy Osbourne, Donna Summer, Elton John, and Black Sabbath. Her first experience with film music was obtained by working at the Concorde/New Horizons studio in Venice, California, assisting the company's music supervisor, Paul Di Franco, learning the legal as well as technical skills of music supervision, and how to produce on time and within budget. She supervises music and finds the perfect music for the project, event or product. You can hear Goodnight Kiss works daily on the Digital MediaWire's vlogs, as well as in movies, shows and multi-national television stations. Her clients are worldwide. She is experienced, reliable, discreet and ethical. As a Songwriter, her works include more than 100 songs for HBO, Showtime, MCA, Concorde/New Horizons Films, and other motion picture companies, as well as television segments and ads of all varieties. As a Publisher, she places songs into nationally aired film, television segments, advertisements and special project uses. Her video productions can be found both on and off the web, and her segments run frequently on Na Leo televison in Hawaii. Janet served on the board of the Los Angeles Chapter of the Songwriters Guild of America for two decades, where she was active in legal campaigns, protection of intellectual property rights, songwriting classes and special events. She is a guest speaker and reviewer for associations and events like the Billboard Film and Television Expo, the Songwriters Guild, and other national and international organizations. She has been called a "Song Guru" (Hal Cohen) for her ability to assess a work's weakness, and provide an element that strengthens the song. Janet serves as Music Coordinator for films and TV shows, consults in talent searches for companies with specific needs, coaches actors who have been assigned a song for a scene, and many other music-related needs to a variety of productions. She oversees live productions and events, and was responsible for the final production of the Millennium Award Presentation Show by the Songwriters Guild of America, for their Tribute to GEORGE DAVID WEISS ("Wonderful World", "Lion Sleeps Tonight", "I Can't Help Falling In Love With You", etc.) in Beverly Hills, California. She scores Film and Television segments, and writes music for TV commercials and political campaigns. 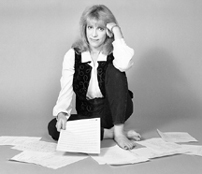 Her projects include producing a variety of Songwriter product, including the "Goodnight Kiss (Records) SONGWRITER SERIES: JACK SEGAL", featuring Jack performing some of his classic standards at the piano, as when he wrote them, creating a much needed "songwriter perspective" from the author, and the overall Songwriter Series Production of "SILVER BELLS" by 3-time Academy Award winners Livingston and Evans. 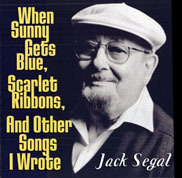 "WHEN SUNNY GETS BLUE, SCARLET RIBBONS, AND OTHER SONGS I WROTE,"
was also produced by Janet Fisher on her Goodnight Kiss Records label. Janet was the Producer for Goodnight Kiss Records' label releases "AND TO ALL A GOODNIGHT;" "ADDICTION: Highs and Lows;" "Tale Tales Of Osama;" and "Rhythm Of Honor" original songs for and by the troops. The "HIRAGANA SONG," a single which serves as a teaching aid for the Japanese syllaby sounds ("alphabet"), and her own "HEARTSHAPED HEARTACHE" album, a collection of Fisher's original songs from various films. Also on the roster at Goodnight Kiss, Cathy Kent's 2-sided-single, "Ka-Ching" and "Love Let's You Know;" the "revisited" classic hymns album, "ALTARnative Music: Songs of Christian Faith," and the Halloween dance single, "Scare It Up!" by Nelson Trout. Fisher's latest book, slated for release in spring of 2013, "101 Most FAQ About The Music Business," contains the Q&A from her site and newsletter over the past decade. She is also currently the (music) Publisher, and her label, Goodnight Kiss Records, is the vehicle for the song "FLYING HIGH WITH BROKEN WINGS." "MUSIC HORROR STORIES: A Collection of Gruesome, True Tales As Told By Actual Innocent Victims Seeking a Career In The Music Business", (the book) was developed, edited and published by Janet. 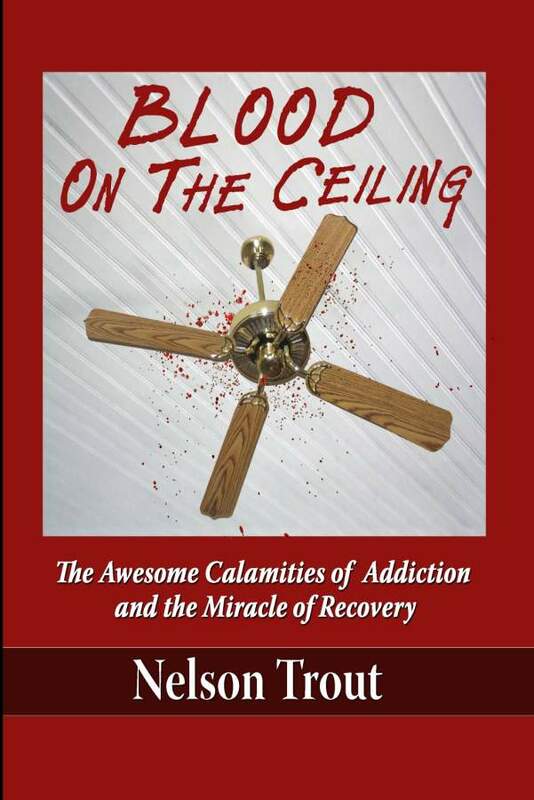 "Blood On The Ceiling: The Awesom Calamities of Addiction and the Mirable Of Recovery" by Nelson Trout, was edited and published by Janet. "Story Night at the Guild", an ongoing in-person interview session with songwriting legends, was founded by Janet in the mid 1990's, and is still one of the most popular of all Songwriters Guild Events. Janet was co-producer of the TRIBUTE TO IRWIN DRAKE, sponsored by the Songwriters Guild at their yearly meeting in 1999. She is equally at home producing live events as she is in the studio or on the lot. Janet was an appointed lobbyist to Congress in Washington, D.C., by the Songwriters Guild of America to represent them in the Audio Home Recording Act with the AHRA Coalition. She is a staunch supporter of Intellectual Property Rights. She is the owner of Goodnight Kiss Music (BMI) and Scene Stealer Music (ASCAP) Publishing Companies, is in constant demand as a Speaker and Guest Reviewer at Songwriting Organizations across the country, where she teaches music-business related classes, hosts songwriter-rights panels, Internet discussion groups, and music reviews. Her teaching venues include the Songwriters Guild of America, UCLA, the Learning Annex; she has participated a guest speaker and reviewer at songwriter and music events for WCSA, ASA, SGA, PSA, AZSA, SDSG, LASS, NAS, and the SGA. She consults via classroom, personal appointment, phone or internet. As host of the weekly radio show, "The Goodnight Kiss Country Music Hour", she interviewed active industry guests and gave on-air exposure to independent artists and writers of country music that reached audiences in twenty-two states. National songwriter trades, as well as technology leaders such as ZDNet have published her articles concerning Intellectual Property, and many leading music Internet sites consistently reprint her interviews and articles on Songwriting. As editor of "The Goodnight Kiss Music News", a Web-based online E-zine, she provides applicable career information to writers around the world. She serves regularly as a Talent Judge for many high-profile competitions, including the John Lennon International Song Contest, Lionel Richie Songwriting Scholarship, the Cable ACE Awards, the PRISM Awards, the USA Songwriting Competition, the Palomino Talent Show, and more; and is a visible member of support for the songwriting community. Janet was founder of the vocal group, MAMA SAYS! (with Patti Shannon and Kelie McIver) also known as "Fisher, Shannon & McIver." She also served on the Board of Directors for the Los Angeles chapter of the Songwriters Guild of America through the George David Weiss years, and is a Voting Member of NARAS and the ACM. Besides having the word "coffehouse" in her vocabulary, she was also once the door girl at the Troubadour in West Hollywood. Janet Fisher is a longtime professional songwriter and publisher for Film and TV, author of the pop book, MUSIC HORROR STORIES, owner Goodnight Kiss Music (BMI). She also supervises music for film, consults about the music business, teaches songwriting, and produces music videos and television shows that air throughout Hawaii.